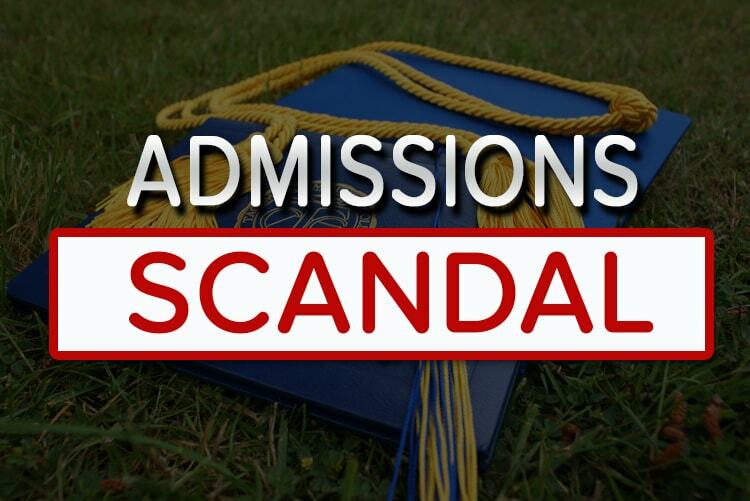 If you’re not living under a rock, you’ve probably heard of the recent Varsity Blues - college admission scandals involving wealthy parents paying 100 times more than I have saved up for college, to get their kids admitted to the top universities. Lori Laughlin and 32 other wealthy parents, ranging from Hollywood celebrities and child actors, to executive business leaders, paid for their children to get accepted into prestigious universities including Stanford, Yale, and University of Southern California. They used the money to game the current test taking system – SAT and ACT. Now take a look at me – a typical high school student. I’m in 10th grade and a rising high school junior. I am less than 18 months away from filling out my college applications. I’m the oldest of two kids in a middle-class family. I don’t have a private college counselor. And this whole scandal made me sick. Knowing where my family stands financially, I’ve been working hard for a very long time to get into a good college so I can fulfill my dream of being doctor. I take AP and honors classes as often as I can. I stay up late into the night, or the early hours of the morning, doing homework. I’m participate in choir and I swim for my high school team. I spend my summers doing internships and educational camps. I tutor other kids in math and science to earn money for my college fund. I work hard to maintain a good GPA. And I’m just one of the many, many, many high school students working their tail off to get into a good college. For me, hearing that people like Olivia Jade Giannulli, “want[s] the experience of like game days, partying” and doesn’t “really care about school”, was frustrating. I wondered, “how does someone who doesn’t care about school and just wants to party, get into a school like USC?” I speak for other students as well when I say that I have lost faith in the fairness of the college admissions process. The main question for me and other high school students who will soon be applying to college is, will I be denied admission into a college because of another student whose parents are richer than mine? Valerie Strauss at The Washington Post thinks it’s time to get rid of the SAT and the ACT entirely. I agree with that. Already, over 1000 colleges have made the SAT/ ACT optional and every year more colleges join that list. Just recently, the University of Denver went test-optional. A test-optional admissions process doesn’t rely on standardized test scores which can be falsified. Instead, it’s a holistic evaluation of students’ activities and skills developed over time. The challenge for a lot of students however is that they don’t have an easy way to showcase themselves in an authentic and nuanced way to colleges. Until now. That’s why I’m so thankful for Cirkled In! Using Cirkled In as my holistic, story-telling profile and portfolio, I can showcase myself to college admissions officers in the best and most authentic way. Cirkled In gives me the hope that a college will see me as ME - a qualified candidate and a holistic person. I hope colleges and universities will re-examine their admissions process and use tools like Cirkled In to discover and admit hard-working, qualified students like me. Here is to fair and equitable college admissions!